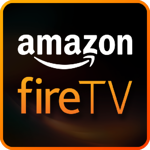 Do you have a streaming TV device? Watch the weekly Sunday sermon* in HD video. Watch Alistair Begg streamed live* from Parkside Church in Cleveland, OH on Sundays at 9:45a.m. (EST). Listen to the latest daily program at your convenience. Search for “Truth For Life – Alistair Begg” on your device and subscribe to our app. It’s that easy! * The Sunday live streams and sermons are limited to the weeks Alistair is preaching at Parkside Church.